I know most of you would be amazed at this recipe name and I'm sure you haven't even heard about something like this in your life. Is that so, really?? Well, even if it is, no worries dear; everything that is new doesn't stay new always, and it has to be known and old some time. Now this post is actually a continuation of the previous post on Khatti Meethi Dal because this was the second recipe my friend had requested me for. You all must be aware of chapatis/roti in general and this 'Duppad' is just a variation to that. Chapatis are one of the most common forms in which wheat, the staple of northern South Asia, is consumed. 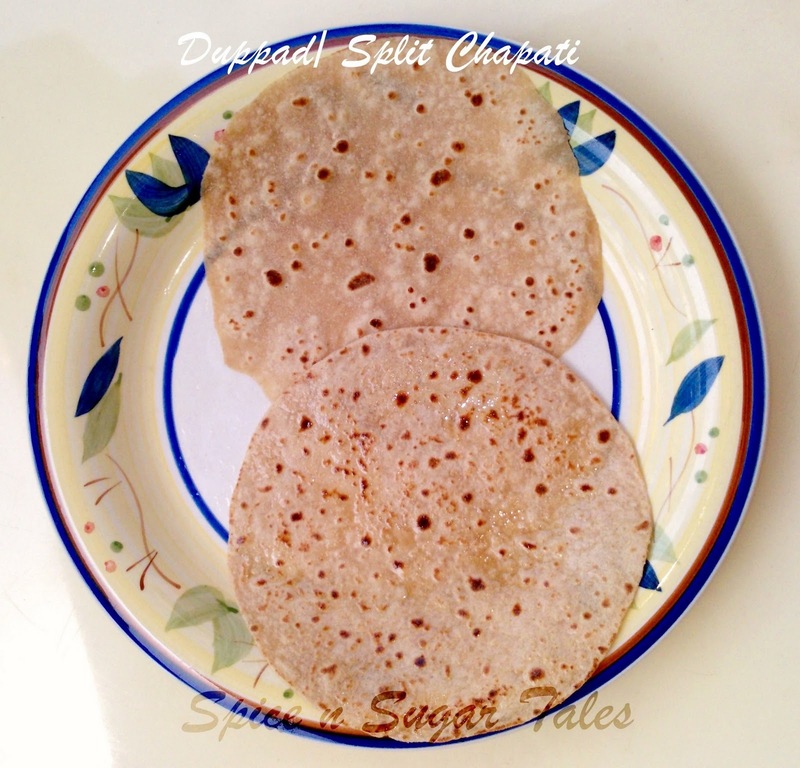 Chapati is a form of roti or rotta (bread). The words are often used interchangeably. 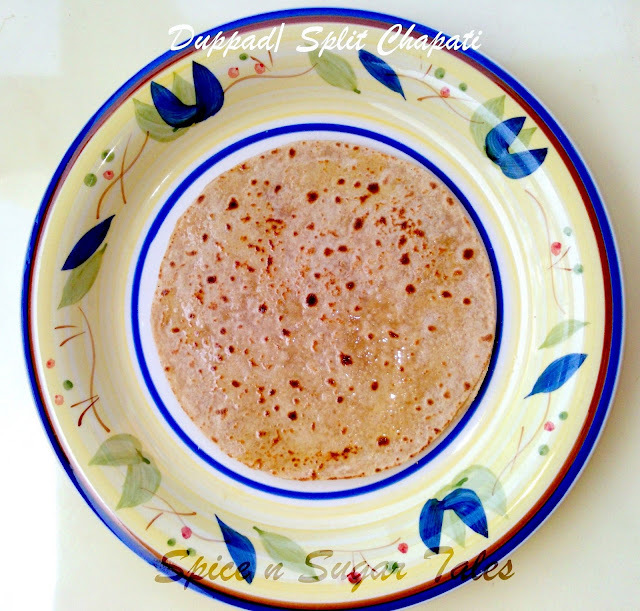 While roti,rotta refers to any flat unleavened bread, chapati is a roti made of whole wheat flour and cooked on a tava (flat skillet). Chapatis are made from a firm dough made from flour (whole grain common wheat), 'atta' in Urdu/Hindi/Punjabi/Bengali, and water. Some people also add salt and/or oil to the dough. Small portions of the dough are rolled out into discs using a rolling pin. The rolled-out dough is thrown on the preheated dry skillet and cooked on both sides. In some regions it is only partly cooked on the skillet, and then put directly on a high flame, which makes it blow up like a balloon. 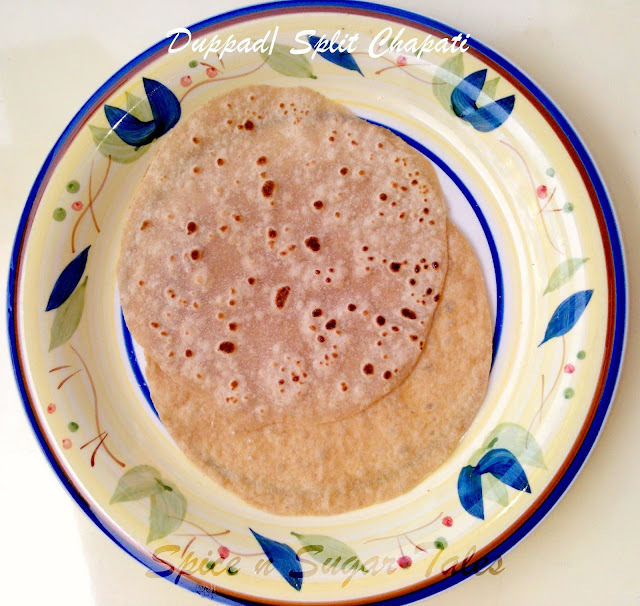 The hot air cooks the chapati rapidly from the inside. In some parts of northern India (e.g. Punjab) and Pakistan, this is called a phulka (that which has been inflated). 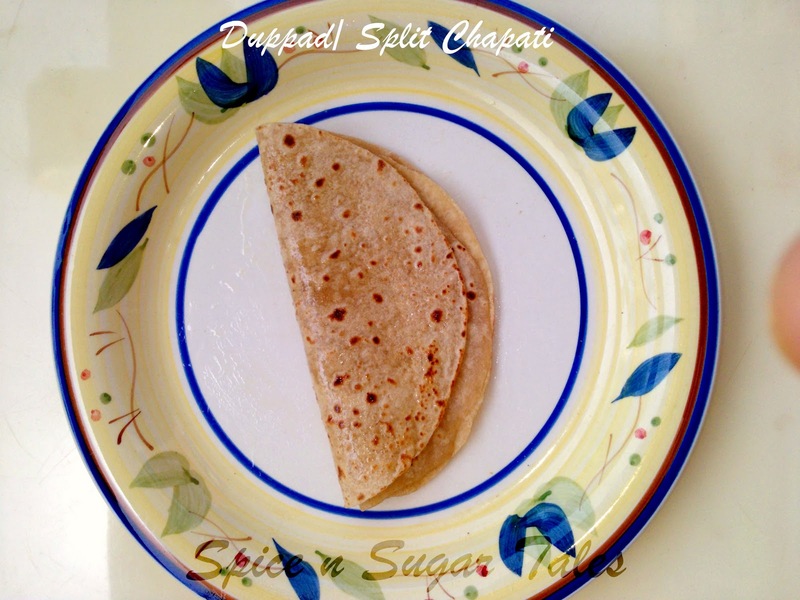 Often, the top of a chapati is slathered with butter or ghee (clarified butter). 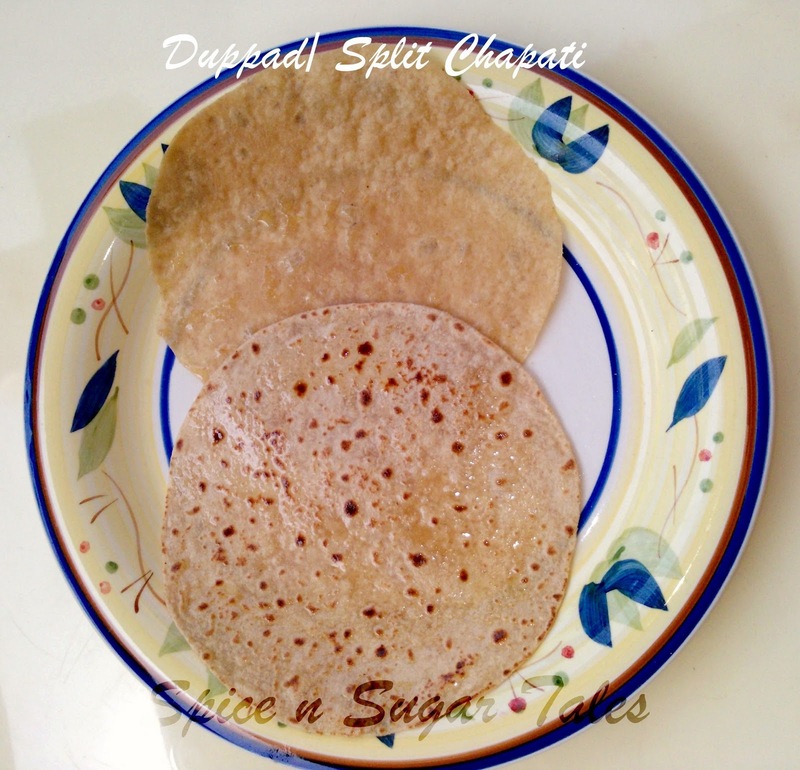 A piece of chapati is torn off and used to pick up the meat or vegetable dish(es)that make the meal. It is folded into a sort of loose cone and used as a scoop to eat the more liquid dishes at a meal like dal, paneer, or sabji. 'Duppad' ( originating from: do (two) pad (layers)) is a two-layered chapati separated by a thin smear of ghee/clarified butter and wheat flour. While normal chapatis do not layer out completely, this can be layered in two individual pieces and is much softer and thinner than the usual chapati. Take 1 cup whole wheat flour/ atta and leave the rest for dusting and filling. Cover it and let it sit for 20-30 minutes. Now using little ghee on your palms, knead it once gain to give the shiny feel and ease. Now take one sheet and smear it with a thin layer of melted ghee/butter. Sprinkle little whole wheat flour on it and spread evenly. Place the second sheet over this and seal the corners by pressing a bit. Now roll this dual-sheet into a single thin sheet (need not roll too much, else it will go uneven). Heat a tawa/skillet and when done, transfer this sheet onto it. Wait for it to bubble a bit, and then flip over. Now let this side have some brown small spots (indicating it's cooked) and then flip again. Take a glove/ cloth and press the sheet evenly on all sides with very soft hands. These will enable the heat to spread evenly and your duppad will be perfectly done. Unlike chapati, this will not puff up on heating. When this side is also cooked, take it off the tawa/skillet and shift it on a plate. Now with care and patience, pick the upper half of it on the side and pull over gently to peel off the layer completely. 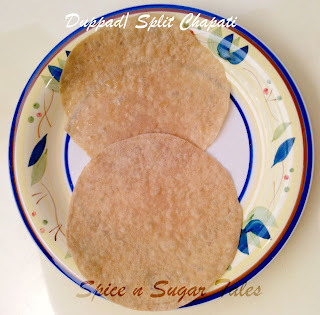 You will see that the chapati has split into two equals. The shape might not be like proper circles because rolling them together will certainly cause some distortion. 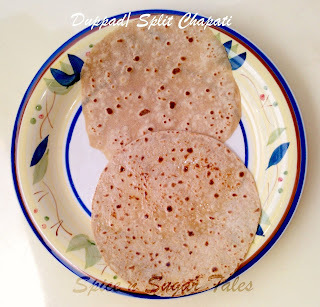 Smear them individually with ghee/butter and serve either as singles or as couples. To let them go softer, pile them in a casserole and serve towards the end when almost all or half are done. Piling makes them softer actually. An easier method is to make two small flat balls ( and not rolled sheets) and stick them together with a layer of ghee and wheat flour amidst. Now this can be rolled into a thin sheet much easily. INteresting ........I make stuffed parathas this way. Love it. 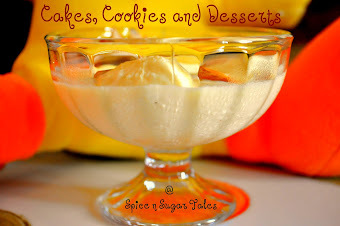 Interesting...this looks so soft n yummy!! Interesting chapati. Looks soft and lovely clicks. Thx for linking to the event. yes heard this for the first time. But it looks great. I'm happy to inform you that you've been chosen as the winner of my event Jingle All The Way. Also note that if you fail to give me your answer by Jan 29th, I'd be forced to choose another winner.